Together, we will make sure your research is presented clearly and accurately so you can be confident in submitting to any international journal. Standard Editing is a full check of the language, grammar, and sentence structure, as well as a check for correct and natural word usage. *Use this service if you are confident about the structure of your manuscript and are looking for a language and grammar check. Expert Editing is an in-depth edit that improves the structure and flow of your manuscript and ensures the language is of publication quality. *Use this service if your manuscript needs in-depth editing and you would like to receive suggestions about how to improve your manuscript. We guarantee you will not be rejected because of poor language. In the rare case that a rejection does occur, we will re-edit your manuscript for resubmission at no charge. Edanz is an associate member of COPE, and we actively support the current industry standards in publication and research Ethics. Our knowledgeable Customer Service and Editorial Team are with you throughout the entire journey. You can contact us by email, live chat, or phone at any time. 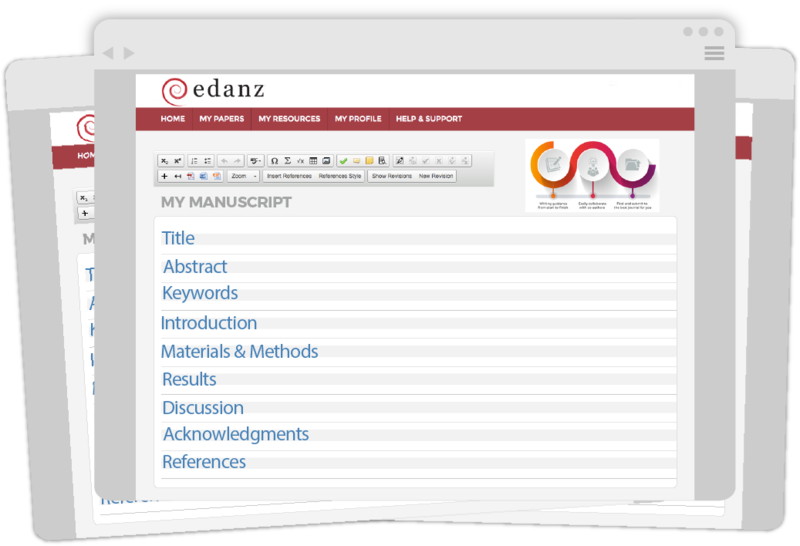 Edanz is the only author services provider that offers complete transparency. You always know who has edited your manuscript, and you have the chance to ask your editor questions about the editing. We take data confidentiality very seriously and our infrastructure, policies, and procedures reflect this. All our staff sign confidentiality agreements and follow a professional code of ethics to ensure the security of your valuable data. Edanz is the trusted source for tools and resources. Register today for free access. Learn valuable insight into how to get your research published. The Author Academy covers everything from writing through to submission and review. OUR FREE WRITING AND COLLABORATION TOOL THAT GUIDES YOU THROUGH THE PAPER WRITING AND SUBMISSION PROCESS. SEARCH OVER 28,000 JOURNALS AND 12,000,000 ABSTRACTS TO FIND THE JOURNAL THAT’S RIGHT FOR YOU. SEARCH by keyword, field of study, journal, publisher, or abstract. SORT & filter results by title, impact factor, or frequency. 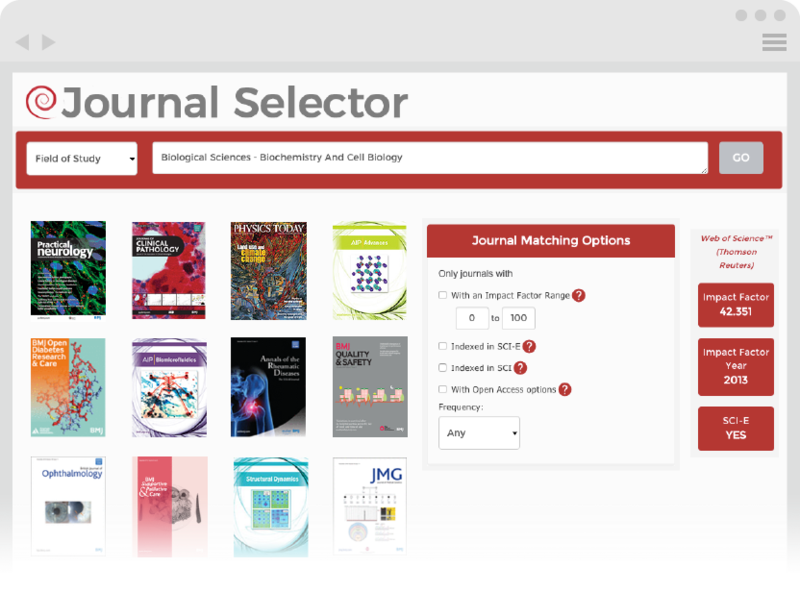 DECIDE: Access detailed information about the journal to make an informed decision. TEMPLATES, INFOGRAPHICS, CHECKLISTS, & MORE TO HELP YOU ALONG THE PUBLICATION JOURNEY. This was my first experience using Edanz and I was very impressed by all editing content, responses, price, etc. I have learnt that service varies so much from company to company. I would like to use Edanz again next time. Thank you very much for your extremely thorough editing. It was really helpful that an editor whose field is very close to ours could edit our paper as requested. We were able to submit successfully. We would like to use Edanz’s services again. Thank you very much. I reviewed my manuscript immediately after it was edited and am very satisfied. Thank you so much. I thank all of the Edanz staff. I passed the preliminary screening for my doctor thesis. While I cannot relax yet, I have made it this far with Edanz’s help. I am deeply appreciative. I discovered Edanz through the BMC recommendation. I had previously used another language editing service, but soon discovered how much better Edanz is. They are fast, thorough and give me so many useful tips. The best thing about Edanz is that they not only edit my language, they also comment on the scientific quality. Valuable and extremely helpful advice. Even my statistician was impressed with the knowledge the person editing my manuscript had about statistics. I have no doubt in my mind that Edanz has helped me increase my chances of being accepted for publication. I have recommended Edanz to all my colleagues. I just want to add that I am very thankful for your excellent work!